Designed to take your cleaning experience to the next level and simplify it, the EL2095A Ergorapido from Electrolux is committed to helping you reach and remove dust and dirt from every corner of your house. 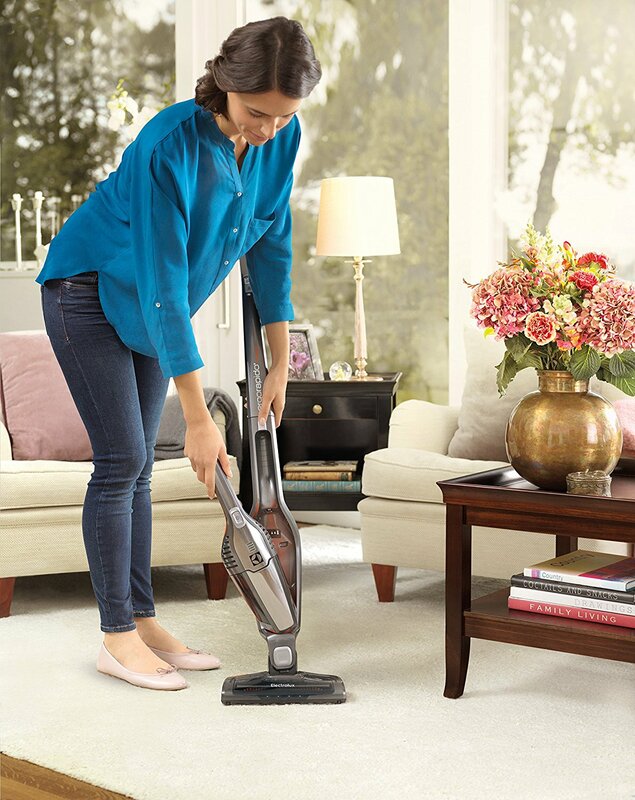 The cordless 2-in-1 product includes two vacuums that will enable cleaning on and above your floors. Also, the featured technology will remove tangled hair from the brush roll and store it in the dust cup. 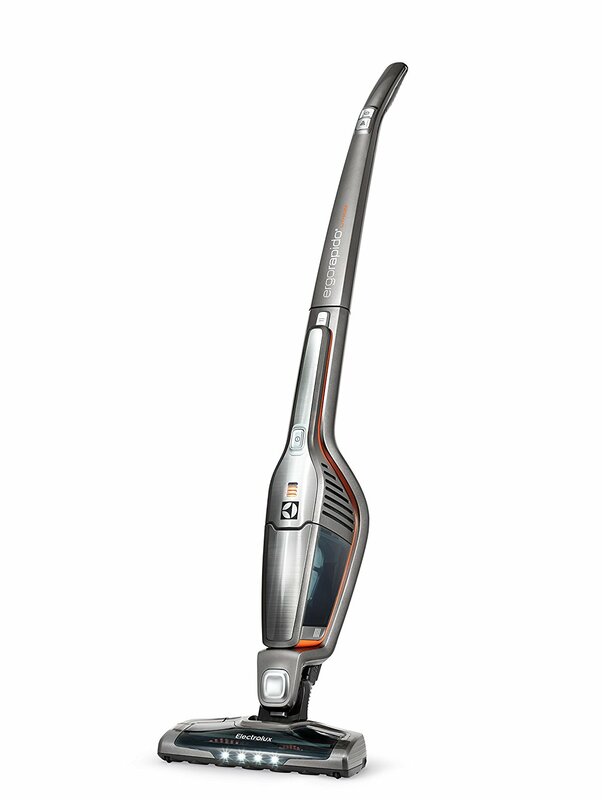 The cordless vacuum is powered by a lithium-ion battery that ensures 35 minutes of cleaning. Although this means faster cleaning for many people, it might prove to be insufficient for those of you who need to clean a bigger house or for extended periods of time. Since the charge time takes 4 hours, it might be a bit uncomfortable to stop your cleaning process to charge the battery and continue when it is fully charged. If you pay a great deal of attention to keeping your home clean, this model from Electrolux might be just what you need to boost your comfort even more. Since this is a cordless unit, you will have the possibility to access and use it with ease. All you need is to take it out of the room where you store it, turn it on, and conquer the dust or mess you want to remove. Because no cords are involved, you can use it even on certain surfaces outside your house. Cleaning will no longer include cables spread all over your house and will not expose you to the risk of stumbling on cables. The battery needs 4 hours to fully charge but it will provide 35 minutes of cleaning. The model includes two vacuums that will help you clean multiple surfaces and enable you to quickly switch from a cordless stick to a handheld device. You can thus clean the floor and easily use the removable hand unit to clean high surfaces such as shelves and tables. It takes just one push of a button to remove the hand vacuum and use the unit according to your needs. This feature and the fact that it has no cord and it is powered by a lithium-ion battery will help you clean even hard-to-reach areas. Apart from increasing the number of areas you can clean, this 2-in-1 vacuum will also add comfort to your cleaning time. It weighs 5.7 pounds and measures 11 x 6.2 x 27.1 inches, which means it is easier and smaller than many vacuum cleaners on the market even if it comes with extras you would expect to see on full-sized vacuums. The self-standing unit offers the 180-degree Easy Steer action which translates into increased maneuverability. It is easy to carry and store. Plus, the handle is ergonomically designed for a comfortable grip and it boasts fingertip controls that further enhance the ease of use.